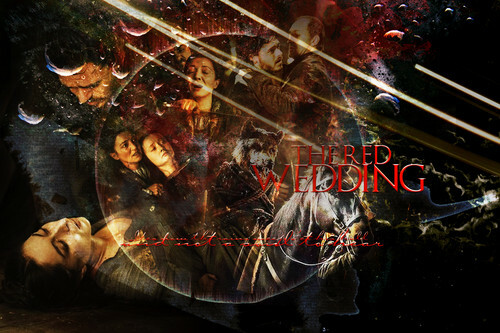 The Red Wedding. . HD Wallpaper and background images in the game of thrones club tagged: game of thrones season 3 robb stark roose bolton catelyn stark red wedding. This game of thrones wallpaper might contain tanda, poster, teks, papan tulis, barbekyu, barbeque, and grill.